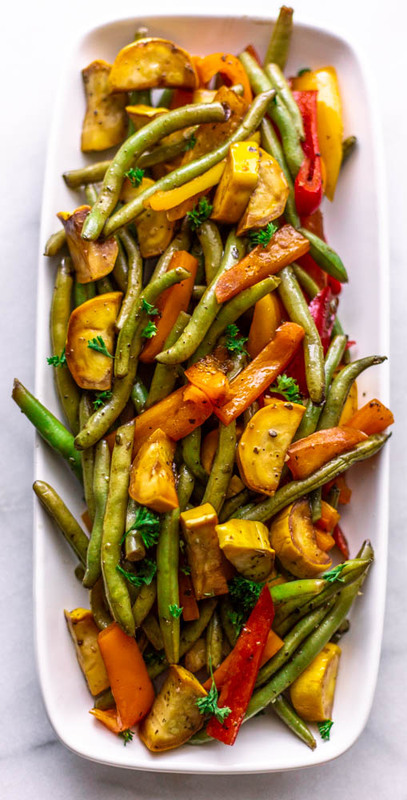 Balsamic Grilled Foil Pack Veggies are an easy way to make veggies for a crowd without using the oven and any dishes. The perfect healthy side. 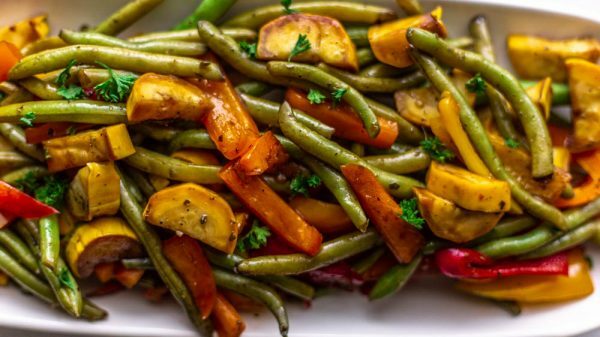 We know you’ll love this simple way of preparing a bunch of vegetables for a meal because you can throw everything in foil and let it cook. No need to make skewers, or rotate anything on the grill! De-stem the green beans, slice the red peppers and chop the squash. Add all of the vegetables into a bowl with the oil, vinegar, and seasonings. Toss well. Wrap the vegetables in 3-4 large pieces of foil so they're sealed in the foil well. Place on the grill for about 20 minutes. Unwrap and serve!